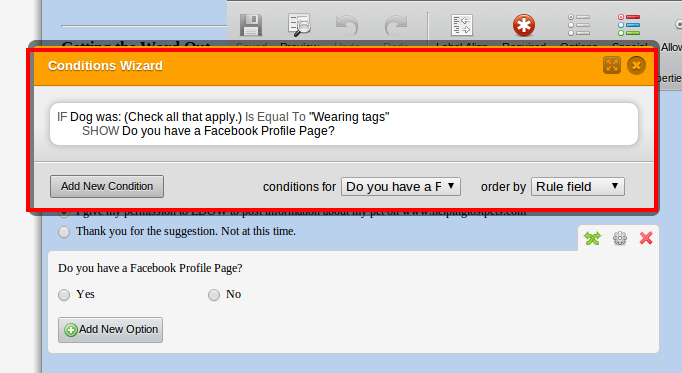 On the following form: http://form.jotform.com/form/2035334498 , near the bottom please find the question: Do you have a facebook Profile Page yes - no. That question is not showing up on the form. Advice?